Originally created as a limited edition model, the 113 Ranger Skinner is a stylish and performance oriented combination of Buck's famous Ranger and the classic Buck Vanguard. Streamlined to be smaller, yet designed to be effective, this knife will get any job done in the field. The classic look, ergonomic handle and ease-of-use design guarantee that you will come to rely upon it. Originally created as a limited edition model, the 113 Ranger Skinner is a stylish and performance oriented combination of Buck&apos;s famous Ranger and the classic Buck Vanguard. Streamlined to be smaller, yet designed to be effective, this knife will get any job done in the field. The classic look, ergonomic handle and ease-of-use design guarantee that you will come to rely upon it. 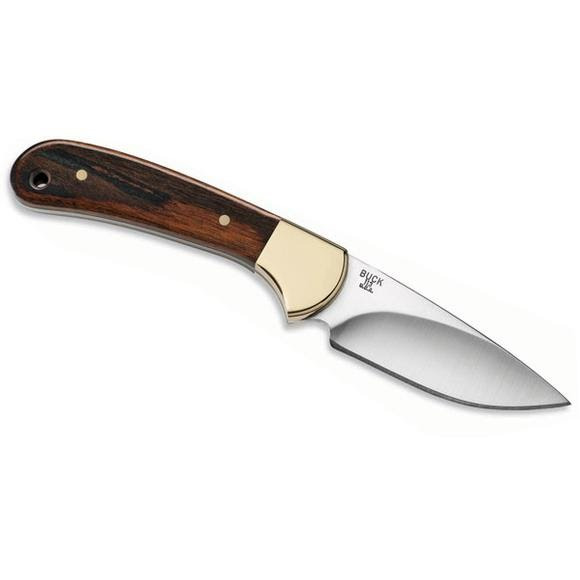 This design fills the need for a sturdy, compact knife with a versatile skinning blade.